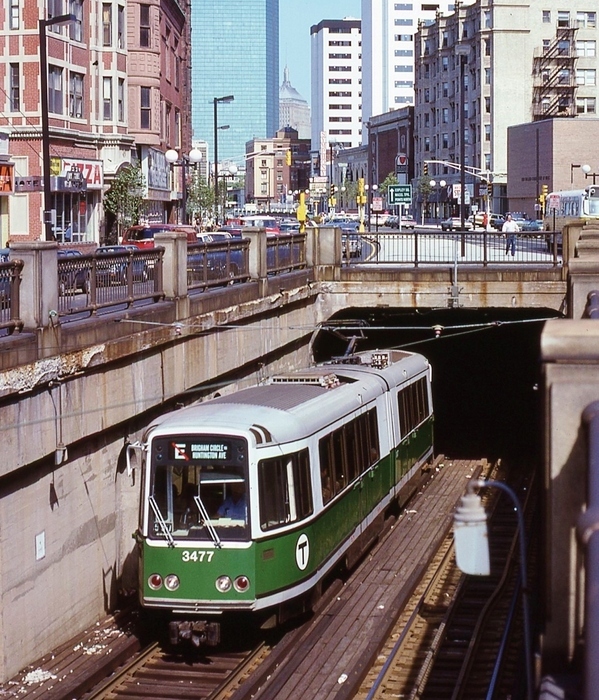 An outbound Boeing-Vertol LRV ramps up to Huntington Avenue. Photographed by Ken Patton, September, 1978. Added to the photo archive by Ken Patton, April 12, 2019.